Rendering courtesy of big Burrito Restaurant Group. big Burrito is going Italian, with a California twist. 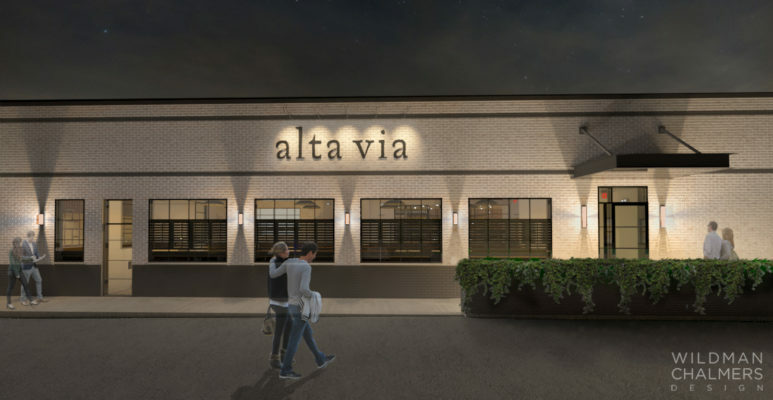 The restaurant group, which operates numerous Mad Mex locations, as well as Casbah, Kaya, Eleven, Soba and Umi, will open Alta Via this March in O’Hara Township. Inspired by life in both the Italian Alps and California wine country, the menu will focus on modern Italian fare such as pasta, seafood and vegetable-forward dishes made over an open, wood-fired grill. It’s a new concept big Burrito President and Corporate Chef Bill Fuller has been anxious to sink his teeth into. At Alta Via, the focus will be on simple, yet creative dishes that have a fresh, clean flavor — not a bunch of ingredients competing for dominance. Fuller, who lived in the Bay Area for a time, says the cuisine is a fusion of styles from San Francisco and Northern Italy. Executive Chef Ben Sloan, a 15-year veteran of the group who has helmed the kitchens at Kaya and Eleven, has orchestrated a menu that includes at least 10 fresh pasta dishes, roast chicken, steaks and fish. Featured items include grilled wild mushrooms with smoked mozzarella, beef short rib sugo and parmigiano vacche rosse and Riverview Farms goat cheese ravioli with lemon, bottarga and pistachio. Two flavors of gelato will be made daily. Dinner will be served seven nights a week, with brunch and lunch offerings added later in the spring. Alta Via, named after a footpath through the Dolomites mountain range in northeastern Italy, is located in the former Donato’s location in Fox Chapel Plaza. That Italian restaurant operated for eight years. Before that, it was another red sauce-inspired eatery called Franco’s. big Burrito has been eyeing the site for nearly a decade. “It’s a cozy little space and it’s in a market that’s not well-served in Pittsburgh,” Fuller says. To help with the redesign, big Burrito partnered with Studio K in Chicago and Wildman Chalmers Design. They ditched the dark, wood paneling and burgundy seats for light, natural tones. A wall separating the dining room and the bar was torn down to give the place more fluidity. The restaurant will have table seating for 90 and a large horseshoe-shaped bar that can accommodate another 40 patrons. 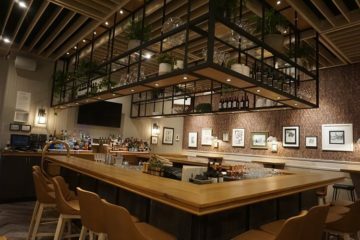 It will serve classic cocktails, Italian and American wines and a carefully curated, and predominately Pennsylvania-made, selection of draft and bottled beers.